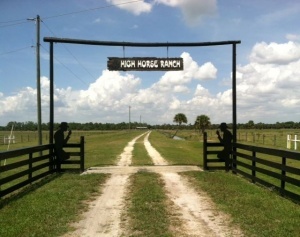 The Martin County Annual Dinner held at the High Horse Ranch in Indiantown is a special night for all. Dinner includes steak, potato and corn on the cob prepared by the martin County Farm Bureau Board of Directors, free to all members and their families and $10 for non-members. Children enjoy a hay ride and learn about the importance of farmers and ranchers while adults gather in fellowship. Attendees include local county commissioners, school board members, and FFA and 4-H members. The Martin County Farm Bureau’s Annual 3D Archery Shoot is held in February. The shoot is a fundraiser sponsored by Martin County Farm Bureau and local business. All proceeds fund local youth enhancement programs and scholarships for students attending college in the agricultural field. Martin County Young Farmers and Ranchers will be hosting a Clay Shoot on June 9, 2018 at the South Florida Shooting Club. Check in for the event begins at 8:00am. Annual Speech Contest – March 12, 2018 at 6:00pm.